Are you beginning a weight loss journey? Are you trying to lose weight to benefit your health? Learn why people struggling to shed pounds are launching weight loss fundraising campaigns to stay motivated, reach their weight loss goals, and support their favorite charitable cause. 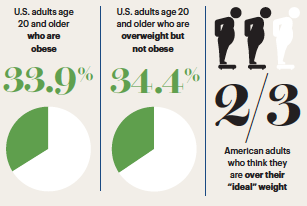 Today, there are more than 78 million people struggling with obesity in the United States. If you are one of these individuals, you know better than anyone the health risks associated with being obese or overweight. But why are so many people still finding it difficult to shed pounds despite an overabundance of fitness and diet information? A recent survey found that of those who diet regularly, two out of five quit within the first seven days, and one out of five last a month. Ted Spiker suggests losing weight "really has more to do with adjusting our mindset so that healthy choices feel right — and don’t feel like deprivation, hard work or punishment." Learn how you can create a weight loss fundraising campaign for your favorite charity! Everyone has the ability to change their mindsets by making directional swifts in the way we think. Activating the brain to think differently requires us to consciously change something in our lives. It requires a healthy, positive decision that "feels right" after it's made. In order to shift your mindset to healthy choices that feel right, you need a small win. Below are five reasons why launching a weight loss fundraiser will translate into small wins and "feel right." To create your weight loss fundraising campaign, click here. It only takes a few minutes to set up and launch your weight loss fundraiser. 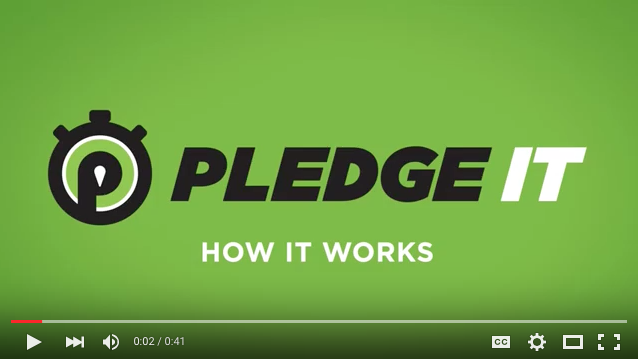 Your family and friends will be able to pledge a donation for every pound you lose, or make a one-time flat donation. After results for each weigh-in are finalized, supporters will receive an automated email with an update on your progress. Shaun needed to lose weight. His doctor recommended that Shaun try to lose 60 lbs. in three months. Shaun was able to lose 30 lbs. in the first month. Struggling to lose the additional weight, Shaun decided to launch his weight loss fundraising campaign for charity in order to help motivate him to continue losing weight. "My campaign has been picking me up along the way when it gets difficult. My challenge has given me the additional motiviation and support to keep going. I don't know if I'll reach my goal. I do know I'll be able to look back at the end of this experience and know my friends and family were there with me." Shaun asked his friends and family to pledge a donation for every pound he lost in the 60 day period. In less than 7 days, 36 friends and family members collectively pledged $356 per pound lost and helped Shaun raise $9,724 for the Boomer Esiason Foundation which raises money, awareness, and support for the cystic fibrosis community. The main focus of your weight loss fundraiser is to raise awareness and donations for your favorite charity. This will take the onus off of yourself to lose weight. Obviously it is your personal goal to lose weight, but the larger goal, the one that will keep you motivated, is the goal to support your favorite charity. Remember, your transformation will inspire others. Do something that is bigger than yourself. Are you beginning a weight loss journey? Are you trying to lose weight to benefit your health? Create a weight loss fundraising campaign for charity to stay motivated, reach your weight loss goal, and support your favorite cause. Sign up by clicking here!